Every Dutchman who wants to talk about the present, the past and the future of his country must be obliged to travel through his country at least ones a year. 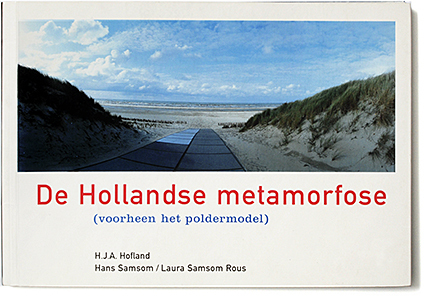 Two photographers Laura Samsom Rous and Hans Samsom and the writer Henk Hofland did so. This book presents their experiences and the current status of The Netherlands.